Anybody else going to be in Quartzsite the week of Jan 21. I will be dry camping the 24 to 26 in the BLM mile marker 99 on Hwy 95. I was there just one month ago. Beautiful clear skies but windy! The crowds had not arrived yet. This was my first visit and I only spent one night as I was on my way to Palm Springs. Gary, I was going to try to make it but I am involved with replacing the main awning and will not be done with this until late Wednesday. If you decide to come. 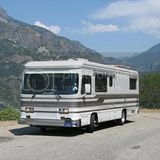 Go south on 95 to mile marker 99 and drive in where you will see a bunch of RVs. Keep going until you find a Barth. Odds are that is me.